A study in family history and influence, Newman and his Family looks at how John Henry Newman (1801-90), the priest, educator, theologian, philosopher, novelist, poet and satirist both learned from and was transformed by his parents and his brothers and sisters. The son of a banker in the City of London and a Huguenot mother whose family were famous and innovative paper makers and printers, Newman was the eldest of six children, two boys and three girls--Charles, Harriett, Frank, Jemima and Mary. While the family was reared Anglican, Charles abandoned Christianity for Owenite Socialism and Frank ended his days a Unitarian. Although Mary died young, she had a profound influence on her brother, as did Harriett, who could never reconcile herself to her brother’s conversion. Jemima was also opposed to his conversion, though she lived long enough to witness (from afar) his strange, tumultuous new life as a Catholic. At the same time, since none of the family followed their eldest brother into the Catholic Church, to which Newman converted in 1845, the book also explores the limitations of Newman’s influence and the ways in which family differences led him to a deeper understanding of such themes as home and ostracism, failure and faith, conversion and apostasy, disunity and prayer, infirmity and love. 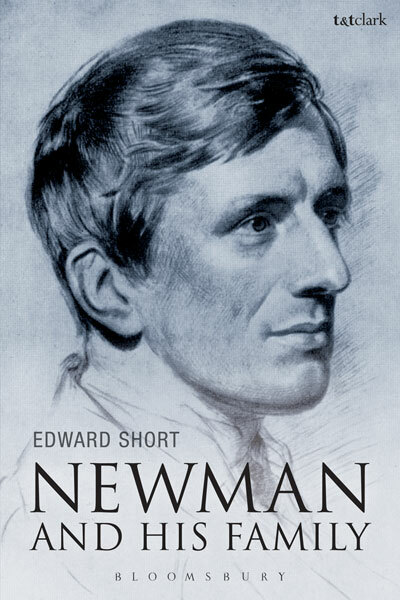 Based on Newman’s vast correspondence and the correspondence of his different family members, as well as on his published and unpublished writings, Newman and his Family presents the great religious thinker in a freshly personal light, where he can be seen sharing his theological and philosophical convictions directly with those to whom he was most closely tied. While there are excellent studies available on different aspects of Newman and his work, this is the first full-length study to show how the difficulties and heartbreaks inherent in family life helped Newman to understand not only himself and his contemporaries but his deeply personal Christian faith.